The International Theatre Festival TAKE PART IN ART organised in Warsaw by Teatr Małego Widza and co-financed by the City of Warsaw, takes place every year and lasts from September to December. The Festival Edition of 2018 will present theatres from Italy, Slovenia, Germany, Netherlands and Belgium. Audience of nearly 5000 people will see 62 performances, including 16 free performances for nursery and pre-school groups. 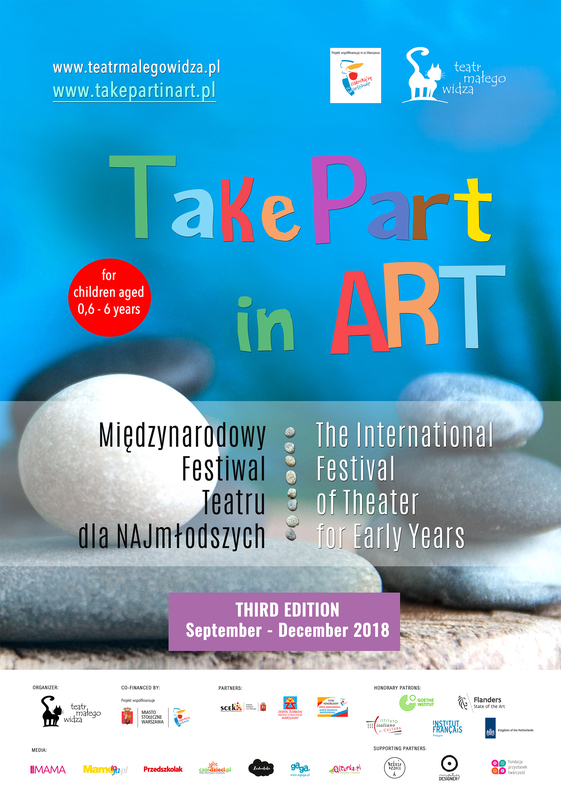 Beside performances for kids and families, the festival introduced and continue each year THE THEATRE LABORATORY – a special programme dedicated to teachers from Warsaw crèches and playschools, as well as FAMILY WORKSHOPS dedicated to children and their parents. 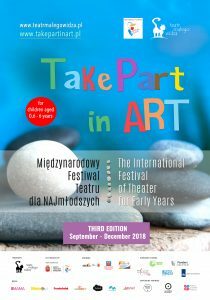 Teatr Małego Widza, founded in 2011, is specialized in the programming of artistic and educational activities addressed to children from the 1. year of life. Throughout 7 years, the theatre has prepared 17 premieres, a countless number of various workshops and staged over 4000 performances, which have been watched by nearly 162 thousand viewers.